It's taken me quite awhile, but I think I'm finally coming to terms with the fact that my style can be quite predictable. Pretty much every day of the week, you can find me in a button-down, or else in a t-shirt and cardigan. My makeup is always the same, too. A little eyeliner on my top lids, and some bright pink blush to help me look awake. When it comes to lipstick and perfume, though, I change it up depending on whether I'm just going to class or whether I'm headed to a fancy event. I might complain that I think my style is boring, but in the end, I actually like having products I always turn to. It makes me feel as if I've found my signature items. What about you? 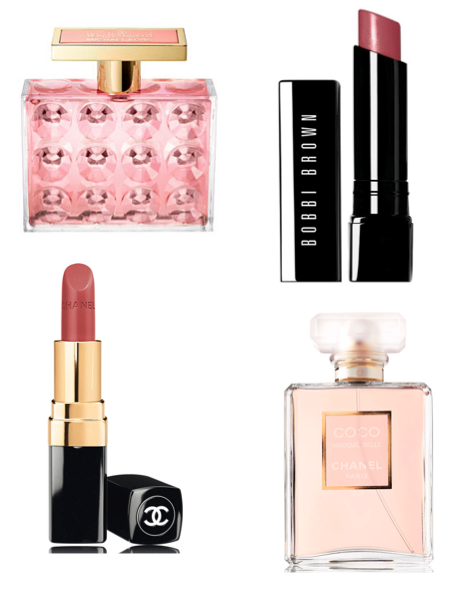 Do you have any go-to beauty products for work, or school, or a fancy soiree?